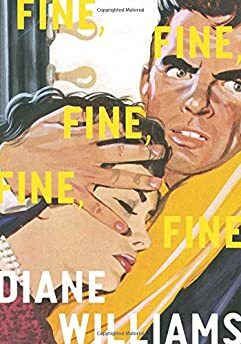 Largehearted Boy: Book Notes - Diane Williams "Fine, Fine, Fine, Fine, Fine"
Book Notes - Diane Williams "Fine, Fine, Fine, Fine, Fine"
Diane Williams' new story collection Fine, Fine, Fine, Fine, Fine once again proves her a master of the form with these literary flashes of brilliance. "A taut collection of flash fictions that are often beautiful but impenetrable, structured like little riddles to unspool. While it is easy to compare Williams's work to that of Lydia Davis, another expert writer of absurdist shorts, this collection stands in its own category as defiantly whimsical and weird... Williams creates stories that can be consumed in small bites. But she provides enough material in each to chew over for an entire meal." Since I now prefer quiet while I work, I listen to music on long automobile road trips (see the list below). I often rely on Angelique Kidjo and Rokia Traore – women singers and composers -- who, as young girls, presumed they would remain obediently in the background or otherwise risk becoming outcasts. My experience exactly. I have also rallied, really unendingly, to the so-called seasoned voice of one of Cuba's most celebrated singers -- Omara – who has been recording since the 50s and who was seventy years old when she recorded The Buena Vista Social Club Presents Omara Portuondo. I am especially responsive to her throatier, age-induced notes, and find that I can dance while sitting nearly motionless in the passenger seat. The John Cheever Audio Collection is consistently my roadway fare. The durability of these stories relies on their acute musicality. Several months after the completion of Fine, Fine, Fine, Fine, Fine -- on the 22nd and on the 23rd of October, 2015 -- I attended two important concerts at which I heard certain music for the first time. The powerful kinship I felt with these pieces aroused confusion. Hadn't I heard these compositions before and long ago? And, might this explain why I feel the way I do all of the time? On the 22nd, the Verona Quartet (at a Concert Artist's Guild winners concert at the Kosciuszko Foundation) played an excerpt from Gyorgy Ligeti's String Quartet No. 1 -- "Métamorphoses nocturnes," which is one continuous movement broken up into sections. The Quartet played from the beginning of the piece: Allegro grazioso; Vivace, capriccioso; A tempo; Adagio, mesto; Presto. On the 23rd, "Sestina" (a work for voice and orchestra) by Judah Adashi had its world premiere (as part of the American Composers Orchestra's SONiC Festival at Carnegie Hall). Caroline Shaw sang "Sestina" -- a poem by Ciara Shuttleworth -- six words, variously rotated -- that produces an experience that is, in the composer's own words, "at once intimate and epic."